***Note – Due to the limited number of seats, you must be a VP level or above senior executive. Do you find yourself focusing on daily operations and improvement projects, and not having the time or energy left over for the big picture strategies? Are you putting off asking tough questions in your workplace because you’re not sure you’ll like the answer? Or is there an organizational challenge that is complex, where the solutions you have looked into just haven’t made enough difference? If you answered YES to any of these questions, please join more than 75 other senior executives for a 90-minute, peer-to-peer session facilitated by David Gouthro to explore shared business problems faced today – or anticipated for tomorrow – and collectively create possible solutions. 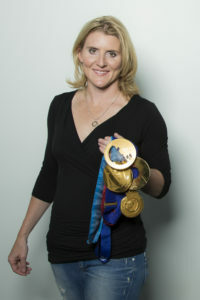 winner, and is widely considered the greatest female ice hockey player in the world. This event has been carefully designed around feedback from past events where senior executives expressed an interest in having more peer-led problem solving opportunities to contribute to strategic and practical business solutions. 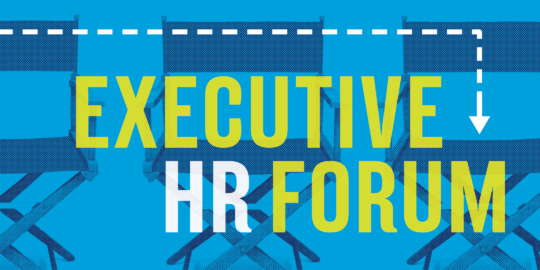 The Executive HR Forum offers high level, solution focused conversations – a safe space to provocatively explore and strategize for some of the most pressing business challenges facing senior executives. Price: Free if you are attending the HR Conference + Tradeshow (please contact vbauman@cphrbc.ca to enroll yourself in the Forum), or REGISTER online for $149 dollars for non-conference attendees. Drawing on over 40 years’ experience – working in a wide range of organizations (private, public and not-for profit) on four continents – enables David Gouthro to provoke leaders to question, challenge and change the way they think and work. Two years as a Performance Consultant with Wilson Learning Corporation and six years at Apple Canada led him to incorporate The Consulting Edge in 1988. Since then he has been helping people in organizations change the way they lead, manage, think, create and collaborate to achieve greater personal and organizational success. Working with clients in financial services, high tech, healthcare, mining, energy, biotech, local & regional government, theatre & film, trade associations, higher education and child-focused NGOs has allowed him to appreciate unique human resource challenges while observing common patterns and themes across these diverse sectors. And, becoming a first-time parent at the tender age of 49 has provided him with nineteen years of refreshing new insights into the way life really works! ***Note – In order to maintain the intimacy of the event, space is limited to 80 participants and available on a first come, first served basis. Thank you!